The post in this week’s From the Archives is not very old, but as Halloween gets closer, it’s definitely a relevant one. The Teal Pumpkin Project is an important way to make the holiday inclusive for everyone, and it’s a great chance to celebrate being a maker. Have you tried this out? Do you plan to? We’d love to hear about it! As Halloween gets closer, you may have seen information floating around the internet about the Teal Pumpkin Project. Though this initiative was launched last year, I hadn’t heard of it til now, and I suspect many others either don’t know about it or are finding out about it for the first time. 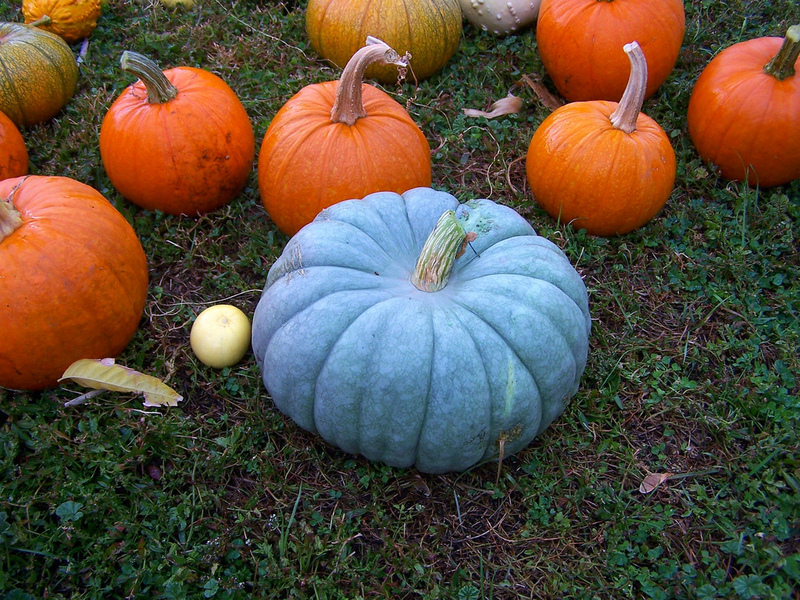 Essentially, the Teal Pumpkin Project aims to create a safe and inclusive Halloween for children with food allergies. Since getting free stuff on Halloween is pretty thrilling, I can only imagine how disappointing it is for kids who are prevented from really enjoying the holiday due to their food allergies (nuts, gluten, soy, etc.). The Teal Pumpkin Project suggests that, if you plan to hand out candy on Halloween, you either supplement or replace it with non-food treats. I thought this was a great idea when I came across it, and my initial thoughts for non-food items were things like stickers or small plastic toys. A brief Twitter exchange with my friend Patricia F. Anderson changed my mind: why not supplement my candy-giving with maker treats instead? One drawback of this plan is that candy is generally pretty cheap, while most everything else I could come up with would cost more per person, but I personally think it’s worth it if you can afford it! The best idea I could think of to pass out was LED Throwie Kits. If you’re not familiar with them, LED Throwies were initially created by the Graffiti Research Lab and are a method of creating non-destructive, non-permanent “graffiti.” An LED is attached to a battery and a magnet; this small contraption can then be tossed anywhere that the magnet will allow it to stick, adding a little light and color to all sorts of new places. LED throwie on an elevator at LITA Forum 2013. We got to make these at Jason Griffey‘s panel. You can buy pre-made kits that are relatively inexpensive from sources like these, or you can put together your own kits: all you need are LEDs, rare earth magnets, coin cell batteries, and something adhesive like electrical tape. Be sure to include some instructions so that the recipients know what to do with them! If you don’t think LED Throwie Kits are for you, some other ideas Patricia and I had included Legos, origami paper, crayons–or you could even make your own stickers and buttons, if you happen to have sticker or button makers. Will you participate in the Teal Pumpkin Project? What are some other maker things that would be good to pass out on Halloween? Let us know your thoughts in the comments or on Twitter!